Children between age six and 12 should have a Presto card while riding TTC subways, streetcars and buses — although they can already hop on and off for free, the transit agency says. The TTC is urging parents to purchase Presto cards for children between age six and 12, so their kids can continue riding the subway, streetcar and buses for free. Children between age six and 12 should have a Presto card while riding Toronto Transit Commission subways, streetcars and buses — although they can already hop on and off for free without the card, the transit agency says. The move aims to prepare riders for the elimination of fare collectors in TTC stations by mid-2019, said spokesperson Heather Brown. The aisles will be "barricaded off," forcing children to enter stations using the Presto machines, she told CBC Toronto. "We need kids to be able to tap themselves through the fare gate and enter the station that way," Brown said. The program, first launched in 2015, allows children 12 and under to ride the TTC for free. Parents looking to convert to the digital fare collection system will need to visit a customer service representative at a Shopper's Drug Mart or the TTC service centre at Davisville Station. They need to bring government issued identification to have the appropriate fare type automatically adjusted on their Presto cards. "It doesn't deduct any funds," said Brown. But parents have to pay a $6 service charge to purchase a Presto card and pay a minimum $10 loading fee, a catch that is already drawing mixed reviews. Nisha Samin, a mother of two children aged seven and nine, called it "inconvenient." "We have other cards and other stuff we have to take care of and just adding two more Presto cards, what if you don't have one and you have the other?" she said. Gabby Morton echoed this. She is a mother of three children included in the change. "I know at least two of my kids could easily put down their cards and not find them again," she said. "Then to go through the process of having them reloaded with that $10 on it, that's just a massive cost increase." Meanwhile, Vijay Gill slammed the two ways available to purchase the Presto cards — asking instead for the TTC to make it available online. "If that's an option, I think that would be less of a concern than the actual cost of a few bucks," said Gill, a father of a seven-year-old girl. Brown assured parents the TTC is trying to develop a solution. "We are working with Presto to figure out a way that parents don't have to incur the $16 charge, especially when kids won't use that $10 on their card," she said. The TTC plans to be "fully" converted to the Presto payment system by Jan. 1, 2020, Brown told CBC Toronto. In preparation for the phase-out of tokens and paper tickets, she added, "now is the time to get a Presto card for anyone who is on our system." 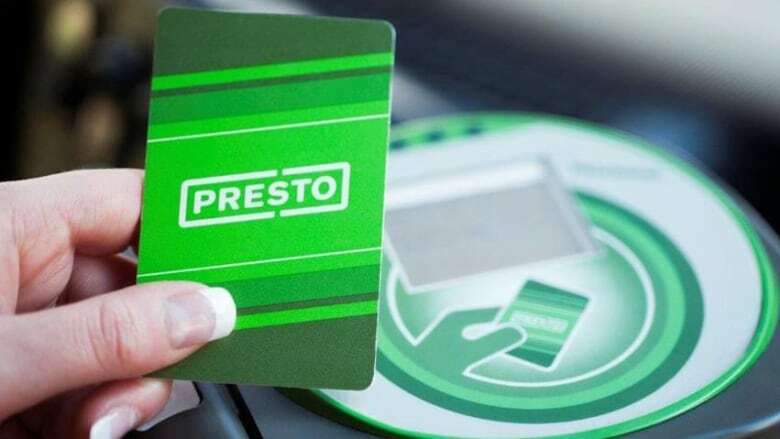 Presto machines are now installed on buses, streetcars, and at every subway station. Monthly Metropasses will no longer be offered starting in January. Meanwhile, legacy paper tickets and tokens will stop being sold in August 2019, Brown noted. "It's just about making it easier for people to get into the station," she said. Last month, the transit agency introduced two-hour transfers, allowing Presto card users to make as many trips as they want in a two-hour window on a single fare. The discount, applied to an individual's Presto card, is only on TTC fares. UP express is free for kids and GO Transit has a children's fare for kids between 1 and 5. August also saw the introduction of youth, post-secondary, and senior 12-month passes on Presto. Adult 12-month Presto passes were introduced in late May. Should children ride the TTC for free?